All you need to know about climbing Mera Peak. You are thinking about getting off the beaten track and exploring more of the low Khumbu region of Nepal. We have the itinerary for you. Yes there is a lot of trekking on route to Mera Peak, but the mountain needs to be taken seriously. I call it a climb as we cross a glacier with potential risk as we move to Mera Peak Base Camp. Once we move towards the high camp it is straight forward but there are open cravesses we need to be roped up once we step foot onto the glacier. I have climbed Everest to the summit, helped people train to climb Everest, led over 30 treks to Everest base camp. and climbed Mera peak 6+ times. Check out our 2019 climbing dates. One of the most important elements of your preparation will be mountaineering skills. You do not need to be competent in abseiling/ repelling using a figure of 8 and practicing moving on fixed lines. From my experience the more you have the more comfortable you are and you are here to learn. 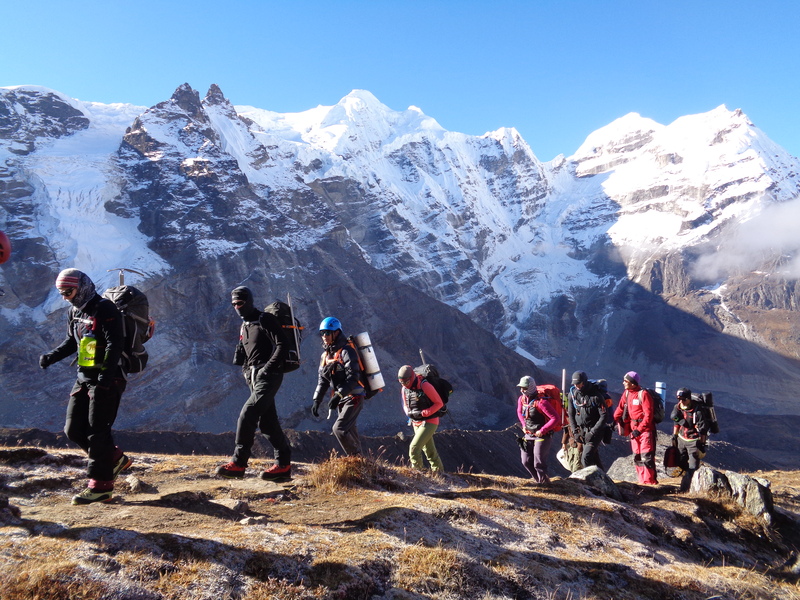 We will teach you all the necessary skills needs to be safe and successful on Mera peak. 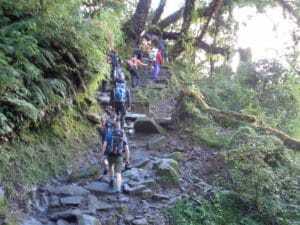 The first thing you need to do is pick the right itinerary, there is no one size fits all and you need to have as much acclimatization in the critical points of the trek and climb You need 3 nights acclimatization in Khare on the way up the trail. We also use the base camp before high camp which is vital to a safe, enjoyable and success experience in a low oxygen environment. You also need a full training day in Khare and we have days in support of this. 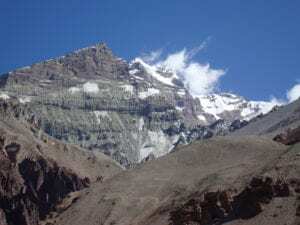 You also need 1 nights in Mera peak base camp at 5,350m/ 17,552 feet and additional night at high camp 5,800m/ 19,029 feet. 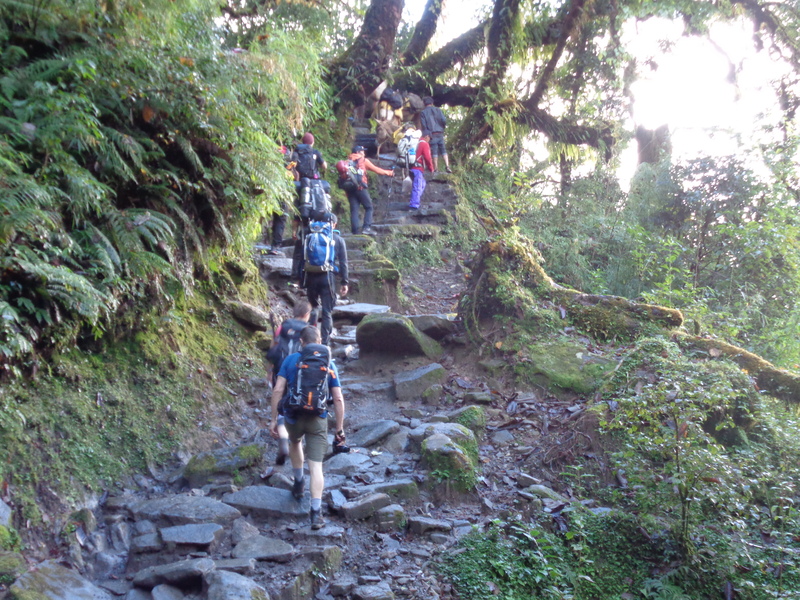 We carry up water, tents and all equipment and food needed for the climb. If you attempt Mera peak from Khare and move up to high camp you are increasing your level of fatigue and altitude sickness. This is the biggest mistake you can make. DON’T DO IT. You will need all your energy to climb safely high on this mountain. 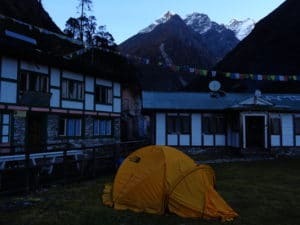 Do take extra days in Khare and use the base camp, before moving to high camp. Breathing techniques, low heart rates, excellent hydration and pacing are all really important to be safe and successful ascent of Mera peak. You also need excellent physical conditioning to be able to walk up and down hills with a weighted back pack at high altitude. We can help you with this. 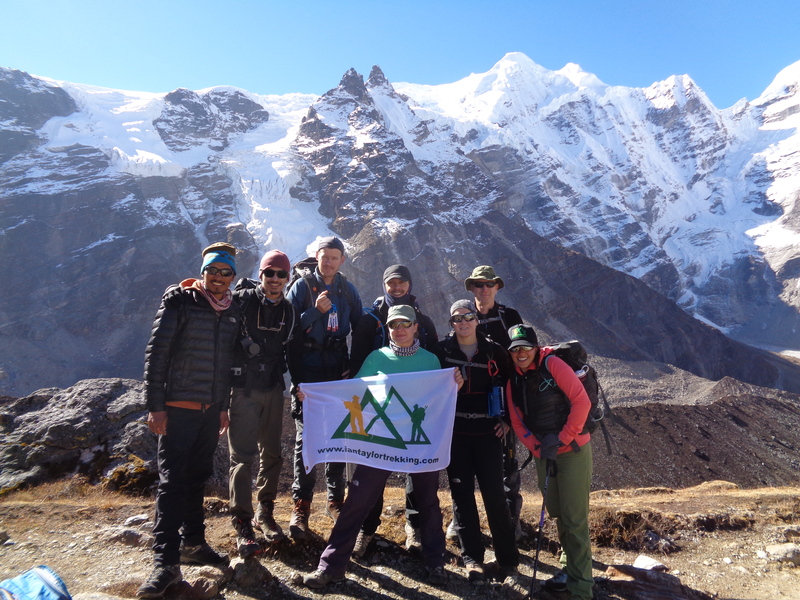 DROP US AN E-MAIL today and get access to the people who have climbed Mera peak many times. Support a company who has invested in Nepal. We set up the Goli village trust after the 2015 earthquake. 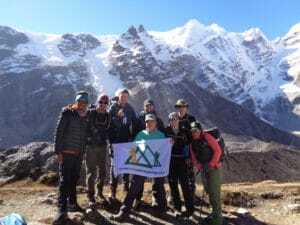 We have our own full time staff on the ground in Kathmandu and we run a quality service on all our trekking and mountaineering itineraries. CONTACT US and we can explain how we operate in Nepal. Our video’s are the most watched on You Tube and Read some reviews from our climbs.